This family researcher once believed that his three-times maternal great-grandfather was James Gray, born about 1785 in Northern Ireland, came to America, and married a Mary Patterson in 1805. Now, after years of research, I’m not so sure, on several levels. The primary source for this original belief was my careless look at the Index of the 1800 Federal Census for Allegheny County, PA, which placed a James and Mary Gray together alphabetically. Another look and I discover that I’m seeing a simple index for all of Allegheny County, and James appears to be an older head of house from Deer Township and Mary a younger widow from Plumb [sic] Township across the Allegheny River. Unfortunately, it’s difficult to make that early report fit my theory, with little more than the head of household and the numbers and very general ages of those therein. If James was born in 1785, he would have been only 15 and head of household when the survey was taken, not likely. Who was the older male in the census? We’ll look more closely at the Grays in the 1800 Census later. Secondary sources for my belief, which can be always questionable, include a local history book entitled, Merrie Olde Middlesex, by Caroljo Forsythe Lee; contributions to Ancestry.com by several very ambitious West Deer Township genealogists; and a marriage index compiled by Bob and Mary Closson titled 175 Southwestern Pennsylvania Marriages Performed by Rev. 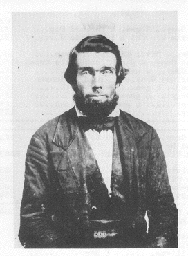 Abraham Boyd.1Rev. 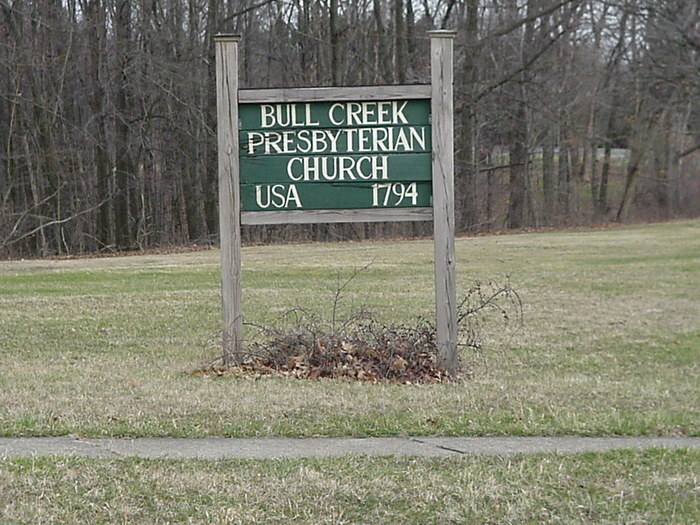 Boyd was pastor of the Bull Creek Presbyterian, the early Gray family church in West Deer, who officiated at the wedding of a James Gray to a Mary Peterson in 1805. We don’t know the exact location of the wedding because Rev. Boyd had planted at least a half dozen other churches in the area during his ministry. I just assumed that this James and Mary were my ancestors. Often the names Peterson and Patterson (both meaning “son of Peter”) are interchangeable in Scots-Irish-English translations. Since my great-grandfather was Robert Patterson Gray,2 and Scottish naming practices often honored parents and grandparents, having James Gray as my maternal family patriarch seemed reasonable. Furthermore, Rev. Boyd also wed my two-times great grandparents, William and Elizabeth Leslie Gray in 1837, of which I’m certain. New information suggests that this William was most likely named for his paternal grandfather, whom we’ll meet later. With all the genealogical records available today, one would think my original James and Mary treatise would be easy to support, an open and shut case, no? Turns out the problem seems to be too many bits of possible/probable coincidental and anecdotal evidence, none of which in and of itself can substantiate James and Mary as being my maternal ancestors. In fact, I spent an entire day in the nearby Westmoreland County Historical Society library recently trying to link our James & Mary Gray to any of the multitude of Grays there. I found no definite connection between my Great-great grandfather William S. Gray of West Deer and his father James of Deer Township, or William’s supposed namesake from Westmoreland. So, the purpose of this article to to lay out several of what I call “alternative narratives” for the origins of my three-times great grandparents based on the assumption that they were indeed James Gray from Deer Township and a Mary Patterson/Peterson. There are two other well documented Gray families in particular near to the Deer Township in the 1800 Census and much miscellaneous material to consider. So, let’s have a look at the possibilities. 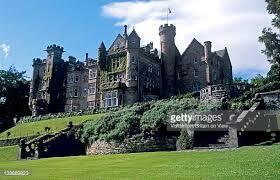 The first alternative narrative I call simply “Skibo,” after the castle and estate in Scotland managed as far back as 960 AD under the Lordship of Alexander, “Laird” or Lord Gray. It was afterwards owned by the Gray family, beginning with John Gray in 1545 and surrendered by Robert Gray in 1745. Andrew Carnegie eventually acquired the famous estate in 1897. Today it’s a resort for the wealthy. Part of this Gray family, father Thomas and sons, worked their way to Western Pennsylvania, or what was called “New Scotland” in southern Butler County.3 This Gray family came in 1791 to what they called “New Scotland” in Connoquenessing Township, southern Butler County, site of what was to be the White Oak Springs Presbyterian, not far from a Rev. Abraham Boyd church plant, Middlesex Presbyterian, very near to where I grew up. I had received a copy of a 250-plus page family reunion report from an apparent distant cousin, Debbie Cooper, years ago entitled The Gray Clan that detailed this family. It took a recent visit to the local community college library and free access to Ancestry.com to bring into focus this first alternative narrative for our James and Mary that we’re calling “Skibo.” That Gray family branch produced a Thomas Gray, Sr., which we’ll associate with the Scottish emigration to America in the late 18th century. Thomas Gray, Sr. (1761-1853) was born in Scotland at the historical Skibo estate and married Mary James (1761-1830) also of Scotland. Thomas and his three sons, James (1786-1868), William (1789-1860), John (1791-1853), and daughter Sophia (1784-1871) arrived in America with three other families, the McKinneys, the Grahams, and the McDonalds. The Gray brothers separated upon reaching Philadelphia, then Chester County, but not before making a solemn pact to name their sons after themselves “through the ages zealously, as long as no urgent conflict with the wishes of the mothers.” Traveling as far as the Cumberland River Valley, now the land south to Harrisburg, James and Thomas, Sr. awaited enough folks to brave the wilderness together. Finally, in 1791, the families, with eight small children, headed west over rough wagon roads that had been marked by government agents and scouts, finally stopping in what was to be called “Little Scotland,” or sometimes “New Scotland” in what is now Butler County.4 George Washington was nearly killed near here by an Indian guide while on his way to Fort LeBoeuf in Erie to order the French out of Western Pennsylvania after the establishment of British Fort Pitt in 1758. Thomas Gray’s Butler County deed for 400 acres there is dated 1792. 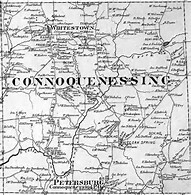 While Thomas and Mary’s first four children had been born in the Old Country, the last four were born in Connoquenessing, an Indian word for a phrase meaning “for a long way straight,” referring more generally to the land around the Connoquenessing Creek. These Butler county Gray’s oldest son was named James. Born in Skibo in 1786 with some sort of physical disability, perhaps poor eye sight, that kept him from military service. His brothers volunteered for the War of 1812. He was at one time thought to be the father of our William Sylvester. But that James married Margaret Peterson, not Mary Patterson. Could Margaret have been Mary? Could the James Gray and Mary Peterson recorded in Rev. Abraham Boyd’s wedding journal in 1805 have been from this Skibo or New Scotland family? Not likely. Margaret was the oldest daughter of Peter Peterson, a famous French and Indian War hero, veteran of Braddock’s Defeat, and early settler of Butler County. As you can see from the link, the couple was married around 1812, a few years later than the Mary and James in question, and blessed with a dozen children, but no William Sylvester, my great-great grandfather. This Gray family, of Scots-Irish descent, the subject of our second alternative narrative for the origins of pioneer James Gray, apparently came through England during the Revolutionary War (1775-1783).7 Whether these Grays had been drafted to fight for the Redcoats or their emigration was coincidental, we don’t know. They were William, possibly our James’ father, his brother David, and the name of the third brother has been lost. Some believe his name was John. Following the old Forbes Road to Pittsburgh, now known as the Lincoln Highway or US Rt. 30, they stopped in what is now Westmoreland County. Tradition holds that David was captured by Indians while cutting trees to clear land for farming. The same tradition says that he married a squaw, but nothing else is known. Could his name have been Abner, as described in the above footnote? James Gray I (c.1725-1795) & Martha Jackson (c.1726-1803) and children: 1. William, Sr. (1757/62-1794) m. Mary Boreland (1764-1794 who remarried Hugh Torrance) and children James II (1788-1861) m. Anna Hope (1787-1837) (James remarried Rebecca Crosby) and their children a. James H. III (1814-1886); b. William S. III (1816-1879) m. Elizabeth Leslie; c. Rachel (1820- ); and Margaret Jane (1824-1880). William, Sr’s brothers were 2. George m. Jane Hope and 3. David (captured by Indians). James I had at least one other grandchild James II through son George. The 1800 Federal Census Index for Allegheny County, PA, reveals that who is believed to be our James Gray is listed alphabetically next to a Mary Gray. Why is this woman in the document, when usually only the “head of household” is included? She was widowed by 1800, but we don’t know from whom, except that the family lived in Plumb Township, but she would have been considered head of household. We’ll soon see that there were other Grays on that side of the Allegheny. That was her home. 8William Gray (1757/62-1794), one of the three brothers in the original New Westmoreland family, whom we believe may have been our James’ father, and my Great-grandfather William Patterson Gray’s namesake, had carved out a small farm along the Brush Creek near Greensburg. He married Mary Boreland (1764-1838). 9 One more question as to our James and Mary Patterson Gray marrying in 1805. Why was it nine years, according to my records, until the first child was born, John H.? Surely, my records are incomplete. The Gush and Long Ancestry.com trees don’t always line up with our James and Mary Patterson Gray being the progenitors of my Grays. 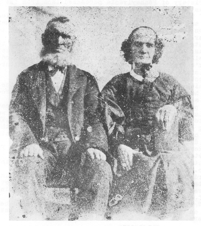 Their James married twice, the second time to Anna Hope of West Deer Township. Their James’ brother George married Jane Hope, probably Anna’s sister, also from West Deer. But could this be the missing tie between the Grays of Westmoreland and their eventual settlement in West Deer? James and Anna had at least four children, according to the Gush Tree, James H. (1814-1886), William S. (1816-1879), Rachel (b. 1820), and Margaret Jane (1824-1880), who lived in Stewartsville, near Brush Creek. Could this William have been my Great-grandfather William Sylvester Gray? The dates certainly fit. James’ second marriage is said to have been to Rebecca Crosby (b. 1820), young enough to have been a twin sister to Rachel daughter. James would have been over 30 years older than Rebecca. Or could this be a misinterpretation of Census data? Nevertheless, by the 1840 Census and after the death of Anna, this James had moved south to Stewartsville, North Huntington Township, still in Westmoreland County. He practiced blacksmithing and did some farming there. Both Brush Creek and Long Run Presbyterian Cemetery records there have Grays. A James is buried near both a Rachel and Rebecca. I still have some work to do here,10, but this might also explain our James’ apparent disappearance from West Deer Township after 1800 and showing up in the Westmoreland County 1840 census. A trip to that courthouse and a look at a possible Last Will & Testament may solve our mystery. We wonder why none of this family information was ever passed on to my mother’s Grays of West Deer Township, that I know of. Family historian and Ancestry.com aficionado Margaret Long says that her mother worked on various family history for half a century and, while her mother didn’t keep the best source records, she did use family Bible enumerations and met regularly with relatives and neighbors to compare histories. Margaret says that further information came from cemeteries, courthouses, and libraries. I’m seeking copies of some of this data, hoping to find the namesake of my Great-great grandfather William Patterson Gray. 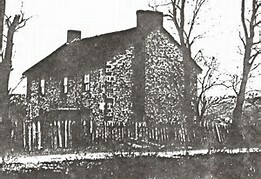 The old Manordale farmhouse (1800) Penn Twp., Westmoreland Co.
Hugh and Mary Boreland Gray Torrance’s family, true to the Scottish tradition, included another James, who loved to tell the story of his grandfather meeting the Marquis de LaFayette during his service in the war. That full story is available in Jefferson County, PA – Her Pioneers & People . Major Torrance is buried on his Manordale farm. Mary lived to be 74 and was laid to rest in the Congruity Presbyterian churchyard, a few miles away, near New Alexandria, located along what is now US Rt. 22. Finally, let’s consider some incidental information on area families with the same names. As we said earlier in our footnotes, the first known permanent settler in what is now known as Westmoreland County was Mathias Cowan in 1761. Historians refer to his wife only as “Miss Gray,” but today we believe it was Rachel, and her sister Mary wed Mathias’ brother David. They are listed on the 1773 “List of Taxable Inhabitants” of Westmoreland County along with James and Thomas Gray of nearby Fairfield and Hempfield Townships. An abstract of Thomas’ Last Will & Testament can be found there in the public records of 1823. Another document, “Early Landowners of Pennsylvania: Atlas of Patents for Westmoreland County,” lists the following Grays: William in Donegal (1769), George in Washington Township (1775), Thomas in Lower Burrel (1797), and James in North Huntingdon (1820) transferred to sons William and James, Jr.
A Richard Gray was born in County Donegal, Ireland, in 1781, and after living in Philadelphia for a time, married the daughter of a American Revolutionary War Colonel, and moved to Pittsburgh to start a brick manufacturing business. One of his five children was James A. Gray (d.1876), a prominent politician and businessman. The 1850 U.S. Census for Allegheny County lists a James Gray (b. 1780), born in Ireland and living in the Pittsburgh First Ward with a Mary (b. 1797), 3 children and an Ellen McCarty (age 30). Now, “James,” referring to the king of both Scotland, James VI, and England, James I, is perhaps the most popular Scots-Irish male name. Could this have been our William’s father? Was Mary James’ wife, even with 17 years difference in ages, or a daughter. She would have been too young for the 1805 wedding covered in an earlier article. Maybe a second wife? Could Ellen have been a married daughter or a housekeeper? So many possibilities, and again, we’ll surely never know the whole story. My quest to find the origins of my three-time (3X) Great-grandfather James Gray and wife Mary Patterson of West Deer township, Allegheny County, PA, began with a single primary source, the various Federal censuses for Allegheny County, 1790 and on. Secondary sources included the Lee history of Middlesex Township, Butler County; the reprinted marriage journal of the Rev. Abraham Boyd; and various Gray family trees from Ancestry.com. A great deal of time was spent in libraries, history centers, and on the internet. At this point, as interesting and coincidental as it is, I believe we can eliminate from consideration as part of our Gray heritage the “Skibo” narrative, also called “New Scotland” in Connoquenessing, Butler County. It’s just too well documented. This goes without saying that the “Old Pioneer” and others of that family eventually moved back eastward into Armstrong and modern Westmoreland Counties, possibly mingling with Grays from our second alternative narrative. Who wouldn’t remember that story and perhaps associate ones family with this courageous group? After all, the Rev. Abraham Boyd had been instrumental in the founding of at least a half dozen frontier churches, and most of them had members named Gray and Patterson, or Peterson. One problem, however, is that the Boyds sailed in 1772, when Abraham was only eighteen-months old and our James probably hadn’t been born yet. Recent research confirms that the Boyd family sailed from Londonderry, Ireland, with the Fulton family, father John Boyd’s in-laws, about 14 total, on the ship General Wolfe which was guided by Captain Hunter on June 25, 1772. It arrived at Hampton Roads, VA, on October 16 that same year. The New York Journal of that month and year recounts, “This ship, it is said, had been seventeen weeks on the passage, nearly half the time short allowance, came out with 300, of whom about 80 died at sea of mere want and the disorders arising from it, in drinking salt water, etc. Part of the time the allowance was half a biscuit and half a pint of water a day.” The newspaper story continues that the ship dropped the Boyds and Fultons and others at Hampton Roads before sailing on up the bay to Baltimore: “Eighty of them were, the same afternoon landed at Hampton, mere skeletons, so weak that they could hardly walk or stand, and most of them without any money for their support. The inhabitants charitably took care of them and supplied them with necessities.” Additional accounts describe the narrow, muddy wagon road over the mountains to Westmoreland and eventually Allegheny Counties in Western Pennsylvania. First, not unlike my wife’s German ancestors, the Scots-Irish naming patterns are very repetitive, as we’ve seen above, and include kings (James), Bible characters (Mary), and lots and lots of aunts, uncles, and grandparents (William, George, Samuel, Thomas, Henry, etc.). This will become more evident as we proceed and can be confusing. But second, repetitiveness can be a good thing because the same Scottish naming pattern suggests that my great-great-great-grandfather James and wife Mary, if indeed that’s who they were, probably took their names from ancestors. As far as spellings and pronunciations of many family names, changes were not uncommon from the time they set sail in the old country until they landed and encountered the other cultures and communities in the New World. Mary Peterson in Rev. Boyd’s records could easily have been Mary Patterson. Sometimes Gray is spelled “Grey.” I recently learned that some of the Grays of West Deer Township were not only unrelated but were of German origin, according to census records. This came as quite a shock. Was the old Gray’s Mill, now Russellton, in West Deer Township run by Germans? I’m certain that my ancestors were Scots-Irish by their given names. Other questions have recently arisen. According to the wonderful collection entitled West Deer Township: a Century and a Half of Progress, Gray’s Mill was originally known as McConnell’s mill and tavern in the early 19th century. Was Thomas McConnell, the innkeeper, related to the Rev. James McConnell (1770-1848), the first minister of the Deer Creek Presbyterian Church, Bairdford Road, West Deer Township and one of the first pastors at the White Oak Springs Presbyterian in southern Butler County. Shortly, we’ll learn about another credible James and Mary Gray alternative narrative involving the White Oak Springs church. Was there a family connection between the White Oak and Deer Creek Churches? For that matter, and not to complicate things, Rev. 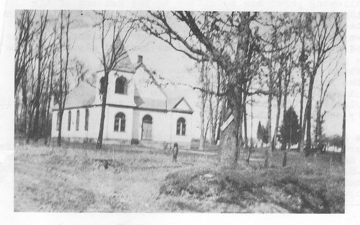 Boyd served both the Bull Creek church, the older Deer Creek church (now Springdale Presbyterian), and the Middlesex Presbyterian, which is near the White Oak Springs church. Could that service have brought our Grays and Pattersons together? This settlement is sometimes, unfortunately, referred to as “New Westmoreland,” not to be confused with our second narrative that we will call “New Westmoreland,” which is really now “old” Westmoreland as the name is still in use today as simply “Westmoreland County.” This regional name is taken from the Old English as “Westmoringaland,” meaning “territory of the people living west of the moors” (i.e. the Pennines). 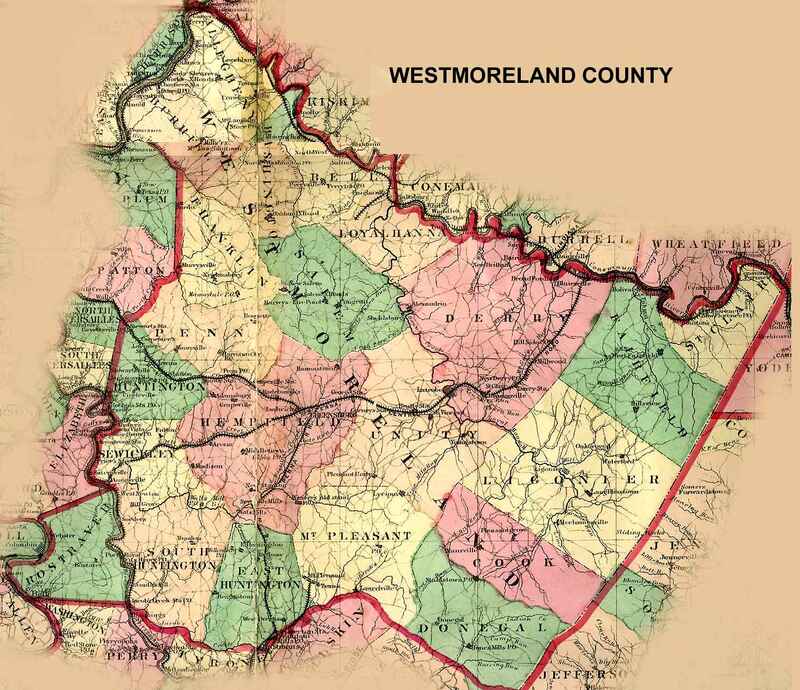 Formed from several other Pennsylvania counties in 1773, Westmoreland now lies between Allegheny and Somerset Counties. Apparently, brothers John and William stayed in Cumberland Valley, at least for a time. One of the families that traveled with the Grays was Peter McKinney and wife. They have the distinction of birthing the first white child born in Butler County, a daughter. The original settlement there was originally know by several names: McKinney’s Tavern, Petersburg, or Petersville. The descriptions and colorful stories found in Graham’s The Gray Clan of life on the frontier are worth reading and surely worthy of future articles. 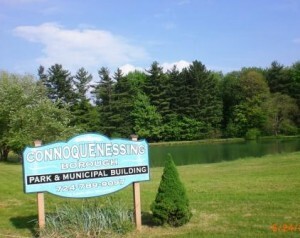 For example, over the years Connoquenessing Township has had three churches, including the oldest, Mt. Nebo Presbyterian organized in 1805; second oldest, White Oak Springs Presbyterian, which was formed in 1816 when some members of Mt. Nebo became dissatisfied over which version of the Psalms should be sung (Who said the Scots-Irish couldn’t “sweat the small stuff,” so to speak?) and St. Fidelis Roman Catholic. White Oak Springs, the Gray’s church, has had 26 pastors in its 200-year history, one of which was Rev. J.B. Borland around 1895. Was he related to the Borlands of Westmoreland County of whom we’ll hear of later? 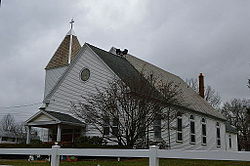 Also, remember the connection between the White Oak Springs Church and West Deer Township, namely the Rev. 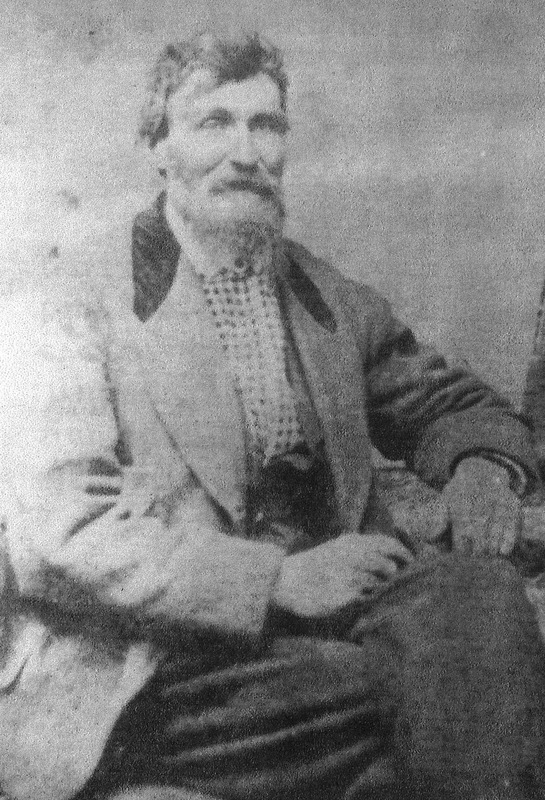 James McConnell, a probationer “fresh from Ireland,” who was the first pastor of the Deer Creek Church and itinerant to the Connoquenessing church . Gray Station was a stop on the Pennsylvania Railroad for loading “black diamonds” from the Latrobe Coal Company, purchased in 1906 from the German Brenizer Family who had owned and operated the rich 72-inch thick Pittsburgh Coal Seam. Westmoreland Mining, owned by Paul Graff, operated the mine until 1952. Another internet search has turned up underground activity at the Mt. Gray Mines in Westmoreland County. We’ll want to go deeper into that inquiry. John K. Fleming’s book “Cowans of County Down” mentions sisters Rachel and Mary Gray who married brothers Mathias and David Cowan, originally from County Down, Northern Ireland. The Grays are described as Associate Reformed Presbyterians, Covenanters or Seceders, now United Presbyterians, as have been my Grays, whereas the Cowans were mainline, Church of Scotland. Not surprising, Rachel’s father was named James, probably born in Chester County, PA. The Grays are found on the Westmoreland tax roles of 1773. The older James took part of his family to Kentucky five years later. Fleming believes that our William S. may be named for his grandfather, the ninth of ten children of that family who married Mary Boreland. Rachel and Mary Gray’s father-in-law, Mathias, was born in Lancaster County and is believed to have arrived in Westmoreland County as early as 1761, possibly the first permanent settler in those parts. It’s said he came in a covered wagon, where he and Rachel lived until a log cabin could be built. According to John Boucher, Rachel and Mary’s brother Abner, who had accompanied them, was captured by the Indians there. Other early Westmoreland Grays include Henry (d.1823), married to Susannah Liggit, who moved on to Muskingum in the Ohio Territory around 1800, leaving their oldest son James behind. Could this have been the James in the Deer Township census? Were they related to the other aforementioned Grays? Another early Gray to Westmoreland was Israel (1772-1846), also from Chester County, who married Rebecca Dixon and made their home in Derry Township, Westmoreland County. He is believed to have been a Quaker but surely couldn’t find such a meeting house on the frontier. Our research continues. Was this Gray family related to Thomas “the Old Pioneer” of Skibo and the reason some of his descendants settled near Blairsville? The History of Indiana County mentions a William Gray (1811-1896) and Samuel Dixon as early farmers along the Conemaugh River, famously part of the Pennsylvania Canal. Modern Plum Township, as it’s now spelled, is across the Allegheny River from Deer Township, now largely East and West Deer Townships. Upon further review, the 1800 Plum census, labeled “Plumb” , lists spinster Mary Gray, widow, age 26-45 with 2 children under the age of 10. Could she have originally been a Patterson? The Plumb census also records a Robert Patterson, a weaver, over the age of 45 with wife and seven children. Could he have been her father? Going further back, the 1790 Pitt Township, Allegheny Co. census lists only a Daniel Gray, with a household of nine, and several Pattersons. Could any of them be related? There was also a James Patterson in 1790 Elizabeth Township, Allegheny County, perhaps too far south, but worth considering as our Mary’s father.There are no other Grays found north of the Allegheny River. On the other hand, by 1800, we find at least three Pattersons there: Robert in Pine Township and John in Pitt. Unfortunately, with so little to go on in those early census records, we’ll probably never know. The Gush and Long family trees on Ancestry.com point to the same James Gray (1788-1861), the oldest son of William and Mary, living at Manordale Farm, northwest of Greensburg near Delmont just off Rt. 22 in Westmoreland County, PA. 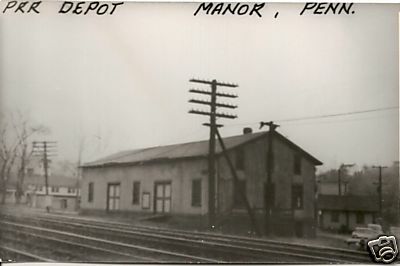 It became a stop on the Pennsylvania Railroad and is now Manor Station or the Borough of Manor, a well-to-do Pittsburgh suburb. While there are many Borelands in the early Franklin Township census records, we are uncertain at this time if Mary Boreland’s father was John (1746-1830) or Samuel (1748-1811), both of whom sired many children, but these brothers had split a 462-acre farm inherited from their father, Samuel, Sr. He had acquired it from the Philadelphia Penn Family. It was originally called “The Manor of Denmark,” but more recently has been known as “Seven Acre Hill Farm.” Until 1936 it had been in the Boreland Family for seven generations. It’s reported that in 1306, two brothers by the name of Torrance, fishermen by trade, saved the life of Robert the Bruce, king of the Scots. After serving under William of Orange in the Siege of Derry and the Battle of the Boyne, some of the Torrance family emigrated to Cumberland Valley, then on to Western Pennsylvania. Great article Larry! I have also spent years researching these various Gray families. I am a descendant of James Gray (b.1787-1866/67) through his daughter Sophia. I was lucky that Sophia’s husband Washington Bartley petitioned the court about James Gray’s will, so I had a starting point. Some of the commonly published information on ancestry is not entirely correct, as I am sure you are very aware. 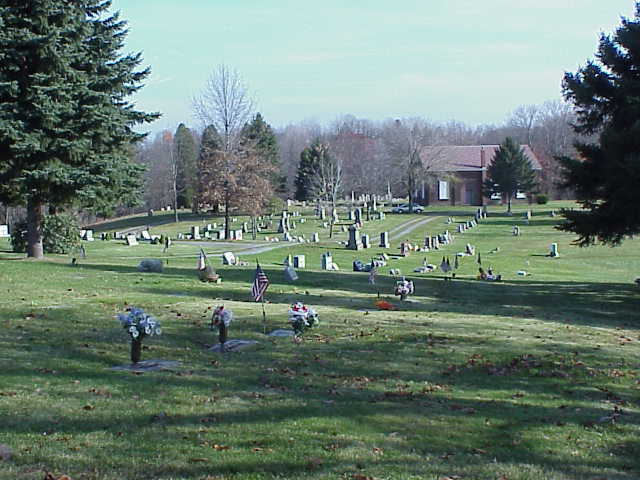 I am not sure of the Piketon, Ohio death for James, as his will indicates he was to be buried with his wife in White Oak Springs Cemetery in Butler County. Of course DNA is the new frontier of genealogy and my current passion. I have a confirmed DNA match with a descendant of James’s brother, John. So to the degree that the paper trail can be connected to the science, I know that I am very likely a descendant of James Gray. At my 5th great grandparent, this is at the edge of reliable testing, but still a great genealogical resource. If you have taken an ancestry test, or take one in the future, let me know your ancestry user id and I will check to see if you are a match.